The Clash Royale is a very popular game and today we get this fun version with Vikings. If you are tired of the usual cards of Clash Royale know these new ones in this flash version. You can create different decks to shoot the three towers of your enemy, making unbeatable combos and saving elixir. Do not wait to see this online version of Clash Royale!. 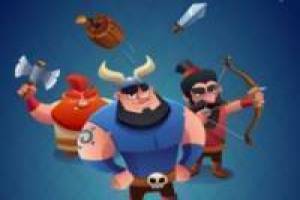 Enjoy the game Clash Royale Online, it's free, it's one of our Clash Royale games we've selected.